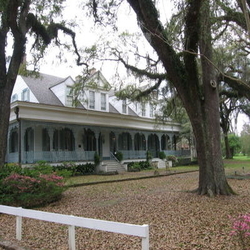 There are many haunted plantations located in various locations around the world. This is especially true in the United States. Many individuals in the world have never experienced seeing a ghost firsthand. However, it has been established that most do believe that there is life immediately following death. Scientists, paranormal investigators, and various types of researchers have worked for years in an attempt to validate the fact that a spirit has the capability of lingering in various locations of the world once the physical body has diminished. 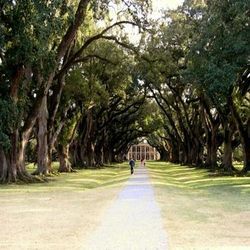 If you were to review the reported sights that are related to haunted plantations, it is quite likely that you would discover that most documented cases involve a historically evident death or event that took place in or near the plantation. Researchers have established that it appears that the assumed spirits of the world seem to have a certain amount of attachment to the location where it apparently lost its physical life. Ghosts seem to be confined in a constant struggle of facing a certain trauma or upheaval that involved the life that they once lived. It appears that many spirits will root themselves within a certain location and experience a constant replay of events that led up to their death or caused their death. The stories surrounding the haunted plantations of the world range from stories of love, stories of glory and honor, to emotionally disheartening stories of human slavery, prejudice, and war. In all stories of the plantations that are believed to be haunted, there are three types of spirits that seem to have an attachment to the structure. These include poltergeists, residual hauntings, and intelligent hauntings. The land that the plantations sit on is typically alive with emotional turmoil, human anguish, desperation, violence, and struggle. While there are many positive memories associated with various plantations, there are also many negative memories. If you were to sift through the historical notations of the plantations that still stand in today’s world, you will find that there are many legends, stories, and a lot of folklore surrounding these structures. Today, many individuals that have visited plantations, worked at a plantation and purchased plantations claim that many of the structures have spirits that reside in them. Throughout this section of Haunted Places to Go, you will be introduced to some of the most popular haunted plantations in the world. A very popular place among ghost hunters. Several individuals have claimed that they have seen an apparition that appears to be a female.